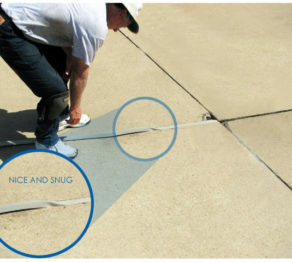 New SlabGasket Expansion Joint Replacement Products available now! 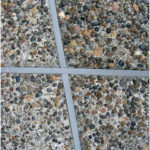 SlabGasket Expansion Joint Replacement Products now include two new sizes in both gray and almond. One of them is 5/8″ wide at the top and the other is 1/2″ wide at the top, but shorter than our original 1/2″ version. The shape is very short, about 1″ tall. These sizes are too narrow to have an air space through the center, and won’t give or collapse any when installing. Talk about a tight fit! You will find a sample of each in our current sample pack.